Would you like to stay in a 130-m tall guitar? If your answer is yes, we have some good news for you! A more than 130 meters tall, guitar-shaped hotel is just about to be built in Florida. 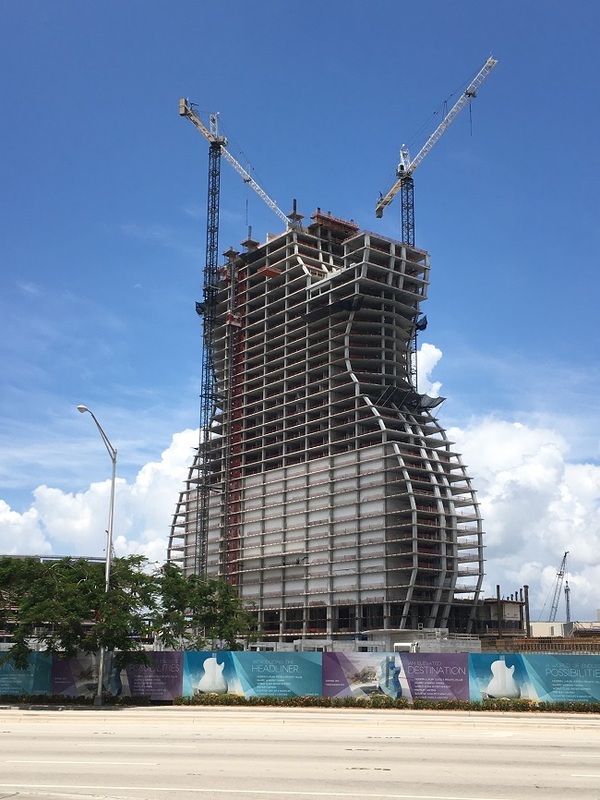 A rather unique architectural project is now on track, as they started to build the huge, guitar-shaped hotel in Hollywood (Florida) as part of the already operating Hard Rock Hotel. Soon as the building got its permission back in 2017, the future owners celebrated it with a huge ceremony... The permissions of the planned hotel were welcomed with a monumental party - including live guitar music and fireworks. The new, guitar-shaped tower is scheduled to open in mid-2019, and will include 806 guestrooms and suites in total, with another 168 rooms and suites planned in a seven-story tower near the pool complex. This means the original hotel (opened in 2004) will have 1264 rooms altogether soon as the project is completed. Beside the new rooms, the expansion will contain a huge casino with 178 table games and 3,267 slot machines. The unique collection of some music-related artifacts and objects exhibited at the hotel are quite probable to serve as another fantastic attraction. These, paired with a 40,000 m2 pool complex will surely give the experience of utmost luxury. Although the masterminds behind the project started making their plans in 2007, the construction phase could only start a decade later, in 2017. By now, the 1,5-billion-dollar hotel is almost ready, and is expected to open in 2019.